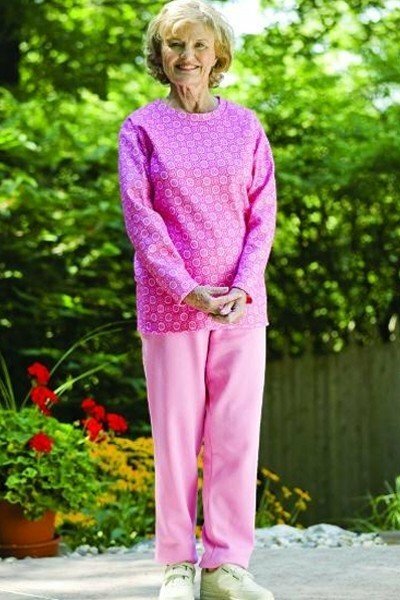 This classic adaptive long sleeve set is perfect for the lady who needs help dressing but still wants to look her best. This set features a full snap back closure top with matching 12” dual side zipper, elastic waist pants. 100% polyester and cotton/polyester blend fabric. Assorted stylish print top with coordinating solid color pants.